Has anti-inflammatory medicine Vioxx been withdrawn to market new drug? 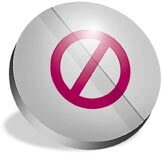 New Jersey-based Merck & Co Inc has 'voluntarily' withdrawn anti-inflammatory drug v ioxx (rofecoxib) from markets the world over. While the us Food and Drug Administration fetes Merck for responsible action, experts believe the real reason is to promote its recently introduced drug, a rcoxiatm (etoricoxib). The new drug is used for the same ailments as r ofecoxib -- osteoarthritis, rheumatoid arthritis, chronic low back pain, acute pain, menstrual pains, acute gouty arthritis and spondylitis. But it is more expensive: Merck could therefore have willingly withdrawn a patented product before paying for its research: a common strategy that smacks of a profit motive. Merck withdrew rofecoxib after it was found that rofecoxib exacerbates heart attacks and strokes. A trial involving 2600 patients with colon polyps -- none had a history of cardiovascular diseases -- showed people using rofecoxib had nearly twice the risk of myocardial infraction (stroke). What makes the move especially murky is that, so far it had aggressively promoted rofecoxib as safe. Indeed, the drug's presence in the market has been controversial ever since Merck applied to fda for permission to market rofecoxib in 1999, and got the go-ahead. In 2000, when rofecoxib's trial studies were published, experts pointed out that the data the company had given out was incomplete and inconclusive. So, in 2001, fda set up an arthritis advisory committee to assess the harm the drug could do. The committee found the risk of heart diseases in people using the drug was high; it wanted a special study done. But surprisingly, fda did not. All it did was ask the company, in 2002, to insert matter related to cardiovascular risk on rofecoxib packets. Meanwhile Merck launched a us$100 million a year direct-to-consumer campaign to promote rofecoxib. fda had the mandate to halt the campaign -- given the data they had -- but did not. The company also used peer-reviewed journals and studies carried out by their own employees and consultants. Everytime independent studies indicated the drug spelt trouble, Merck claimed such studies were flawed. Post-ban fda has suggested patients using the drug should contact their physician for guidance. About 80 million patients in the us have used the drug; total annual sales were about us$2.5 billion. It seems Merck has created a us $450 million kitty to handle possible lawsuits. Meanwhile, Merck's Arcoxia, Novartis' Prexige and Pfizer's parecoxib are lined up for fdaapproval. Experts want random, controlled trials and definitive answers on the safety of these drugs. They want these drugs tested on cardiovascular patients, hitherto virtually excluded from trials. In India The government has followed suit with a ban. But, say experts, after a lot of dithering related to extreme industry pressure. Around 40 companies make rofecoxib, the major ones being New Delhi-based Ranbaxy Laboratories Limited, Hyderabad-based Dr Reddy's Laboratories Limited, Ahmedabad-based Torrent Pharmaceuticals Limited and Mumbai-based Unichem Laboratories Ltd. "If Merck can give up sales worth Rs 13,000 crore, surely Indian industry can give up Rs 91 crore," opines Chandra M Gulhati, editor, Monthly Index of Medical Specialities (an Indian pharmaceutical industry journal). Earlier, the government had said that, since its harmful effects were in the long term, the drug could be used for shorter periods. "Illogical," says Gulhati, "the drug requires long-term use." It was also bandied about that -- much as Merck did -- Indian companies should have the option of voluntary withdrawal. Industry is yet to receive a formal notification. It's on the way, says Ashwini Kumar, drug controller general, India. Meanwhile, Ranbaxy has removed the drug from the market on their own: to protect the consumer, they say; the decision was taken on the basis of an independent assessment of data from "various sources". A cloud hangs about here: India's decision to ban rofecoxib was based entirely on the usmove; Indian data on the drug's adverse effects are not available. What about banning other coxibs (chemicals of the same family)? According to Brijesh Regal, a Delhi-based consultant on drug related issues who was part of the official team that decided the rofecoxib ban, a decision will be taken in the near future. Sounds murky?